I’m about to show you how you can directly tap into the raw power of Amazon Polly. 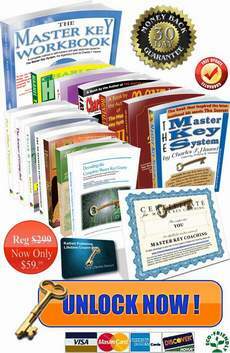 Create explainer videos, affiliate review, videos, or any other videos by simply pasting your text. And yes, you will be able to use those voice over in any video creation app of your choice. You can generate voice-overs in 47 lifelike voices and in 24 languages for maximum impact for audiences in major countries. Hi, it’s Andrew here from ScriptVocalizer and I’m going to show you the power of ScriptVocalizer which we’ve been working on for the past 9 months. ScriptVocalizer is a new first-of-its-kind groundbreaking app to generate full-featured voice-overs from any text using raw and direct access to the Amazon Polly pipeline without spending thousands of dollars by getting your text into speech. But with ScriptVocalizer it’s easy. It allows even complete beginners to generate professional-sounding voice-overs in just seconds. Just paste your text, click a button, and it’s done. Amazon Polly is the number one text-to-speech engine with advanced deep learning technologies to synthesize speech that sounds like a human voice. However, with Amazon hi-tech is it not possible to access without an authorized app, indirect access to Amazon Polly restricted API. This is where ScriptVocalizer comes in. At best, video apps may give you a voice over features that are not even close as good as the Amazon Polly voices, or they can be used only within these apps, or they’d be useless for anything else. With an open export voice-over platform which allows you to export your voice-overs to use in any videos app. You can automatically store your created voice over into your Dropbox, Google Drive, and Amazon S3. Plus, you can also download voiceover directly to your computer with natural, life-like, sounding male and female voices. 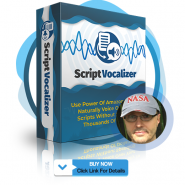 ScriptVocalizer’s fluid pronunciation of text enables you to deliver high-quality voice output. Perfect for sales letters, explainer videos, video ads, affiliate video reviews, and any other videos. Here’s how easy ScriptVocalizer is to use. Step one, decide which voice you want to use. Step two, paste your text. Step 3, click the create button. Those three steps will have you creating your next amazing voice over in seconds. And the best part is, with the included commercial license you can not only create voice-overs for yourself, but you can use them in videos you create for your clients, and even and keep 100% of the profits. Imagine taking just seconds to create those voice-overs for your potential clients for becoming a freelancer and start selling them on popular sites like Fiverr or freelancer.com. ScriptVocalizer is a cloud-based tool. That means you don’t have to install it, you don’t have to download it. And as you just saw, all you have to do is select a language and voice, paste the text, click a button, and it’s done! You’ll get 47 life-like voices, each named that way so it is easy to remember. 24 languages that have maximum impact in major countries. The ability to automatically store voice-overs into your Dropbox, Google Drive Amazon S3 and even download them to your computer. Step-by-step tutorials so you’ll never get lost. And last but not least, we’ll give you access to our closed-door community of thousands of video creators just like yourself, to get feedback and get access to like-minded users. Create engaging professional voice-overs in a matter of seconds. Protected by our no-questions-asked 14-day promise, we are so extremely confident you’ll love ScriptVocalizer that will let you take it for a full 14-day test drive, and if you’re not fully satisfied for whatever reason, just contact us will be happy to give you every penny back. But we know you’re going to absolutely love ScriptVocalizer. So go ahead, the link is right below this video. Grab your copy today! We really look forward to hearing your voice-overs and seeing the videos that you create with them. Luckily for you, it’s going to give you the unfair advantage over your competition. Will see you on the other side.